Your walls can do more than just hold up the roof…if you dress them right, they can make any space in your home feel special. 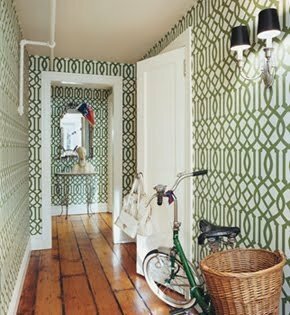 The perfect paint color can go a long way but wallpaper can add color, depth, warmth and texture that will envelope you in a room. A lot of Bang for your Buck. Your walls are also one of the best spots to invest your design dollars…fairly immune to even the rowdiest teenagers or late night cocktail guests. So much life happens within your walls, make them beautiful! 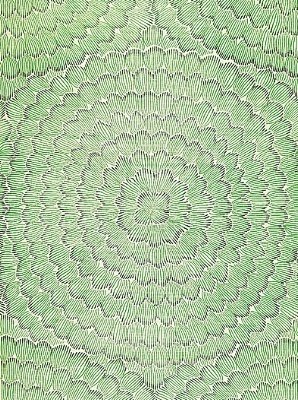 Don’t be afraid of too much pattern…you won’t get dizzy, the repetition somehow blends together and a busy paper can be the perfect backdrop for art, mirrors, plates. If you are not ready to paper your entire foyer quite yet, add a little eye candy to some unexpected spots, like the backs of bookshelves, ceilings, or the Powder Room…that is the perfect spot to add a little design dazzle…you have a captive, and seated, audience! Here is a little inspiration…. 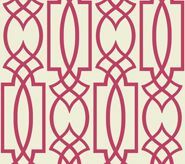 I love a trellis pattern on just about anything…but especially wallpaper. The pattern just envelopes the room. 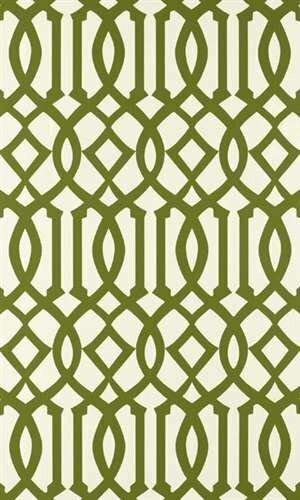 This kelley green dream is one of my absolute faves!!! 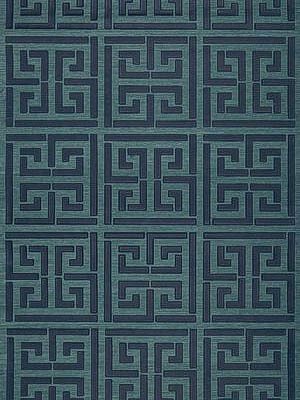 This is my current wallpaper obsession…unfortunately the photo doesn’t do it justice…sisal with an overlay of a sort of wax greek key…to die for!!! and it is really a true navy. 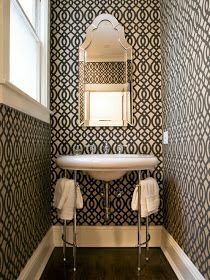 Wallpapers were made for the Powder Room. The perfect little niche to add some wow! 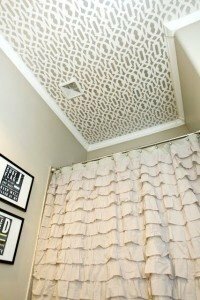 I really could go on and on with these trellis ones…can’t you see this is mud room to brighten every day! Love! Love! 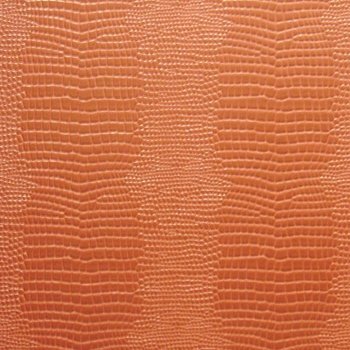 Love leather wallpaper…this comes in a creamy white too…just the right amount of wow!